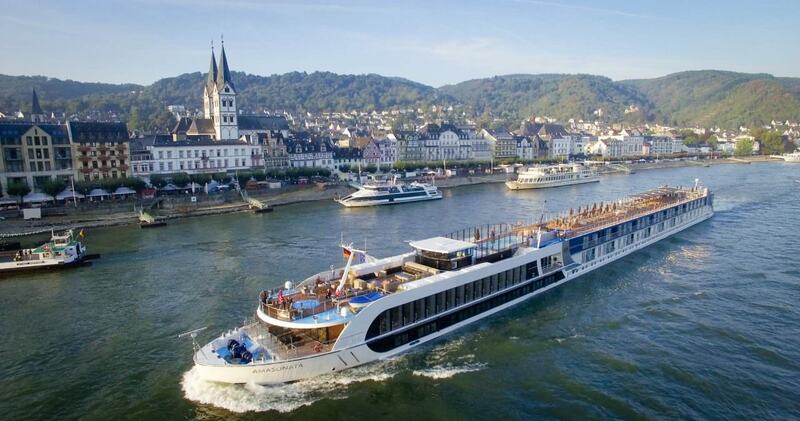 What’s the cost of cruising on the Rhine River? In this post, we look at Rhine River Cruise Prices by comparing 2018 rates from the major river cruise operators. Together with the Danube, a river cruise along the Rhine River is one of the quintessential experiences in Europe. Lined with castles, quaint towns and big cities like Strasbourg, Cologne and Amsterdam, the Rhine offers plenty of culinary, historic, and photographic opportunities on river cruises that can last as little as a week, or as many as two, as ships make their way between Basel, Switzerland and the Dutch capital of Amsterdam. A Foodie’s Paradise: From Rudesheim‘s namesake coffee to traditional Kolsch beer in Cologne, the Rhine is filled with cultural delights that will keep river cruisers coming back for more. Castles: The banks of the Rhine are lined with them. Many can still be visited on shore excursions offered by the cruise lines. The castles provide dramatic views across the river and surrounding countryside. Kinderdijk. This UNESCO World Heritage Site is the picture-perfect postcard view of the Netherlands, with 19 mills from the 18th century and three pumping stations. Amsterdam. We can’t get enough of this canal-lined Dutch city, which is where many Rhine river cruises either start or end. Be sure to plan a few extra days here pre-or-post cruise to enjoy all that Amsterdam has to offer, from the moving Anne Frank House to the striking Rijksmuseum. The Perfect Mix of Ports and Scenic Cruising. 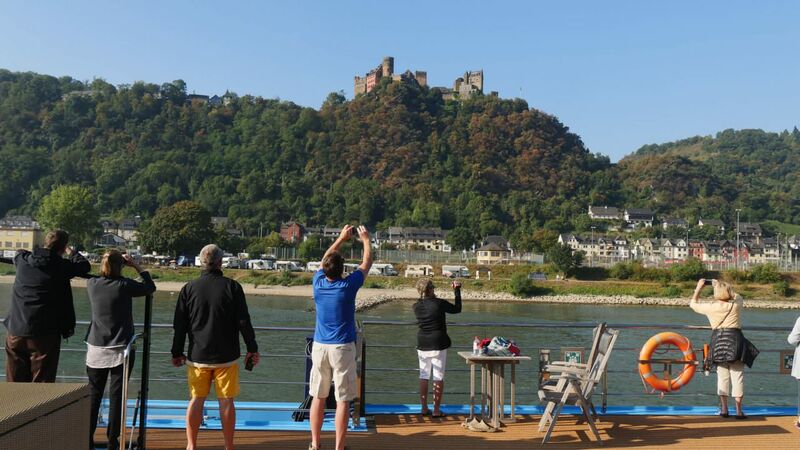 Rhine river cruises seem to be well-balanced, with a great mix of scenic cruising time and ports of call. It tends to be less rushed and hurried than the Danube, thanks to the relatively small number of locks. Like the Danube, all the major river cruise lines operate voyages on the Rhine. These run from the immersive yet price-conscious offerings from CroisiEurope to the all-out, no-holds-barred luxury of Crystal River Cruises. But take note: When you throw in applicable special offers, Viking River Cruises voyages come out to be quite the deal, too. RALPH, My wife and I will be leaving June 1st for our 4th river cruise in Europe. The first being with Viking and the next 3 with Emerald Waterways. I would like to mention to you that while you give quotes from cruise lines, and unless I missed it, you never mention discounts for those times you sail more than once with the same company. This year we are getting the following discounts with Emerald: Loyalty and military discounts. The discounts helped us with our decision to use Emerald again this year. Thank you for all your free info. And…your calculation of the per diem/per person is incorrect for the 15 days on Scenic Opal. It should be 606…not 909. (upside down maybe?) That brings the cost per diem, with the inclusions down to $533. Thanks for helping us correct a few errors here. Actually, we went back and compared an 8-day sailing in the updated chart (thanks to your sharp eye). The air on this particular cruise is $595, although some dates offer free air. Scenic’s per diem on the cruise we looked at is a little more than $400 per person when all incentives are tallied. Quite a value. Ralph: You’re quite welcome! I’ve sent your response to Scenic headquarters in Australia and am eagerly awaiting my complimentary Rhine cruise in a Royal Panarama Suite! They can put me across the corridor in that case! Oh no Ralph. There will be ample room for your 6 foot four inch frame on my Panorama “Sun Lounge” Balcony. ? Mojito in hand – yes!